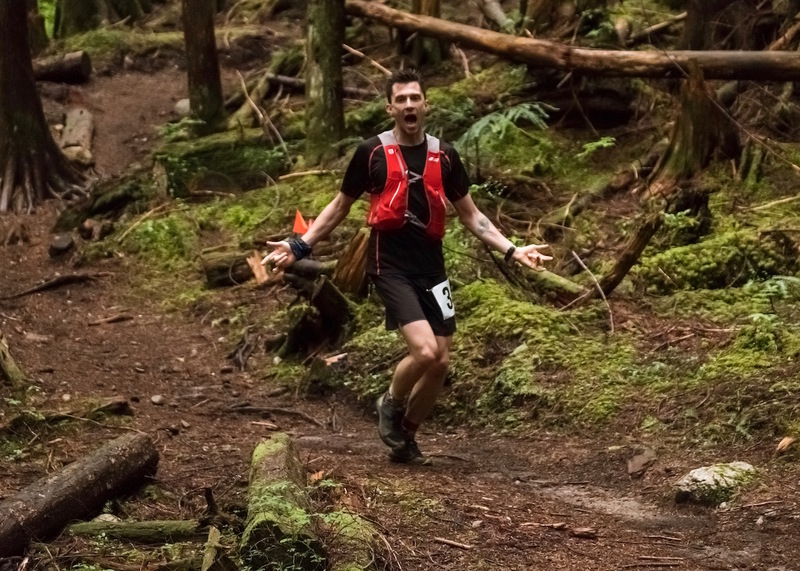 The Puddle Jumper Classic is the Sunshine Coast’s first ultramarathon! Started in 2017 it has quickly grown to be a loved and maybe a little hated course by a lot of runners. It lives up to its name with plenty of puddles and creeks to cross throughout the course. Most of the course is on single trail with rocks, roots and creeks to keep you on your toes. It's a loop course starting and finishing in Cliff Gilker Park in Roberts Creek, BC. The 50k has an elevation of 6972ft/2125m and the 25k has an elevation of 5339ft/1627m. There will be no parking in the park! Parking will be on the logging road just before/after the park (Largo Rd.) From here we will have a shuttle running to the park or if you want to warm up, you can run through the park. Aid stations will be stocked with fruit, chips, cookies and we will have Tailwind Nutrition available as well as water and coke. This year we will have a strict cut off due to permitting. Cut off is at AS 3 at 5pm! We will have a BBQ and beer garden at the finish line. Each runner gets a free burger and beer/cider. More beer and cider can be purchased for $5 a can. Drop bags are only for the 50k and can be dropped off Saturday morning at check-in. Bags will be available at AS1. Access on the course is available at AS1. Please park before you hit Hwy 102 and stay out of the way of runners and volunteers. Please note! Race entries are non-refundable, non-transferable and no credits will be issued. NO EXCEPTIONS!